Nafissa Cisse-Egbuonye earned her doctoral degree in Health Education at Texas A & M University (2016). She earned both her Master’s degree in Public Health (2011) and bachelor’s degree in Public Administration (2006) at San Diego State University. Mrs. Cisse-Egbuonye is a certified infectious disease and surveillance control specialist, who has experience in infectious disease surveillance domestically and globally. 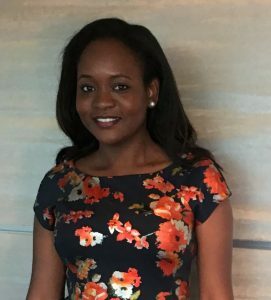 While pursuing her degrees, Mrs. Cisse-Egbuonye worked with different organizations conducting research, implementing health promotion programs, and advocating for the vulnerable populations. She is person coming from a diverse background and fluent in four major languages. She is presently the Public Health Director for Black Hawk County Health Department based in Waterloo, Iowa.